Important advice for new parents to let give the best care to their baby. It’s time to enjoy the special moments of parenthood after you have a newborn baby. Let’s know some important advice for new parents and the important things should be avoided. Well finally the time has arrived and you became the first-time parent. You are so excited to see, touch and hold him/her. Wow, the moment is so special for you as a new parent. It’s also the most rewarding and joyful experience you will ever have. But with the happiness to become a parent so many confusions are also there like you may not know the tricks and techniques to handle your baby after their birth. In general new parents don’t know how they ignore their baby without being aware of something about baby care. From letting the baby sleep to making him take the burp, there are many things new parents should know about to make their baby’s health better. As a new parent, obviously, you are looking for advice on how to overcome the mistakes during first-time parenthood. The first year of parenthood can be very challenging if you don’t handle properly. In this article, I have pointed out some mistakes that generally every parent do and also suggested some advice’s so that you can be a bit more prepared for when your little one comes along. Many new mothers feel nervous when they hold their baby in their arms and think looking towards him/her how she looks after her[Mother]. They may not aware of the techniques to take care of their health. So, they make some mistakes with the nervousness. 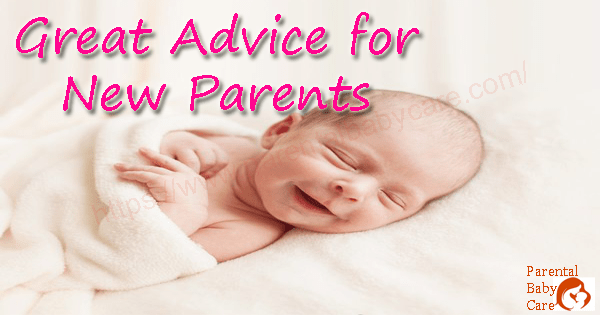 New parents become so nervous when the time will come to take the proper care of their baby and only for this reason they do some common mistakes which should be learned by them to avoid. This is very important to know. A common advice for new parents is to give attention whenever her baby cries. New parents ignore their baby not only while they are crying but in some following cases also they think it is OK if their baby doesn’t do. Let’s know what the cases are. a.) Normally the baby cries after his/her birth, but if he cries in the middle of the night in many times it may be caused due to anxiety and insecurity. But many parents don’t aware of the problem and they ignore by thinking that this may be because of hungry. Also, they do the same thing if the baby is in trouble and cries continuously. b.) Many first time mothers mistake was ignoring the oral care of their baby. That means they think until the teeth of their baby don’t grow it is not important to take the oral care. But you shouldn’t forget that your baby is still depending on breast milk which develops a white patch inside his mouth. So, it is necessary to wipe his tongue or mouth with soft cotton and this process helps the baby to clean his mouth. This is the most common first-time parent’s mistakes which were letting the baby sleep alone. That means they let their baby sleep in bed or crib alone or put a lot of items in the crib. Not only this, many parents let their baby sleep on their chest or on their belly. It can make your baby’s stomach push up which may lead to vomiting. And sometimes they do one more mistake is that let their baby sleep on one side for a long time. It’s a very bad idea of the parents who have habituated with smoking. They don’t know how smoking is becoming injurious to her baby as well as them. They smoke anywhere even around their baby. It becomes the serious health problem of your baby like asthma, breath problem, heart problem etc. You may know very well that cigarette smoke contains plenty of toxic chemicals. Since your baby has a small body, it’s easier for all these toxins to accumulate in his/her blood cells. Many parents think after having a baby that they have the knowledge for everything to take care of their newborn baby and don’t need any help from others. It is good to know about the awareness but you have to remember that you became parents for the first time and you need the guidance so that in any problem you can take other’s help. It is a kind of advice for new parents to always remember that your baby’s health and development depends on you. Many parents forget to burp their baby after feeding so that your little one seems uncomfortable. In the case of a newborn baby, it is important to burp them properly after every feeding because burping releases the air from your baby’s stomach and it can help to keep him/her comfortable. Your baby might have swallowed the air when he/she starts to feed. Another advice for new parents was to burp your baby gently and be willing to recognize when a burp just isn’t going to happen. Your little ones sometimes pee a lot or sometimes less. Many parents think that it is not required to change your baby’s diaper immediately and waiting for a long. Also, it is very difficult for parents in case of your new baby to get yourself up in the middle of the night when it needs to be done. If it will not do your baby will get a diaper rash. Rash can become dangerous if you will not properly look after your baby. Rash can cause itching and infections which make baby so irritate and cry. A common first-time mothers mistake was rather they don’t know or don’t want to know how shaken baby becomes very risky and dangerous. Why parents do this type of mistake? They do this when their baby is crying when they are in frustration or playing with their baby. Not only parents other people also generally don’t know that Shaken Baby Syndrome is long considered a serious public threat. There are many impacts of violent shaking like brain hemorrhage, brain swelling, hearing problem, it may cause death also. This is the big mistake of the new parent that they take their baby in public areas like in any festivals which have a big crowd, shopping malls, parks having a large crowd. They don’t know that how this risk becomes very dangerous. As the immune system of a baby is so weak they are at risk for serious infections and breathe problems. It is ok if let him go out of the house and get some fresh air for one day, but its best to avoid large crowds, poor ventilation areas. Taking the baby outside is not a bad thing as long as you should avoid the crowd areas. There is no objection that you can’t take your newborn baby while you are traveling, but it is not recommended for newborn babies especially during the first month. Unfortunately, many new parents do the mistake that they travel with their newborn baby in so many times. They think that there is no problem if their baby can travel with them. But they forget that if the newborn baby travels in so many times that directly affects his health. As the newborn baby is so sensitive he needs a stable environment to adjust his life after birth. But if you do need to travel with your newborn you have to follow a few simple tips. Feed your baby before starting the travel. Babies are so cute and so adorable; that’s why everybody wants to hold and kiss the babies. This is genuine. But in the case of newborn babies, it is not recommended. Newborn babies are an underdeveloped immune system; so it is a very bad idea to kiss or handle them. There is some few important advice for new parents. They should know what their responsibilities towards their baby are and what advice they should receive by reading this article. Your baby is so precious to you and you are the necessity of your baby. The moment is so special when you have a newborn baby and you think you get everything as he/she comes with a lot of happiness in your life. It’s the feeling that makes you want to shower your love upon him/her. The bonding of love between you and your baby should keep so strong from the beginning. Some parents give their affection and love to their baby for some few days or months after their birth and later they busy with their own works and started to ignore their baby. That shouldn’t happen to them. Due to this reason, only your baby gradually detaches from you and the time will come you realize that your baby will be not with you. So every moment and every day trying to maintain your loving relationship with your baby. Being a new parent you should worry about your baby because you have never had such a responsibility before. When the time comes to take care of your baby after immediate birth, you seem nervous and in nervousness, you do some mistakes which may beyond your knowledge. It’s ok if you are doing anything wrong though you are first time parent, but you should assume that and try to avoid. Top most advice for new parents is that to learn the proper care of your baby by reading any books or any articles related to parental care. As you become a first time parent the first sole responsibility of yours is to know the basic ideas on how to take care of your baby for their better growth and development. So, it’s required to follow some books or read some articles to get the proper idea for taking care of your baby. It’s not so easy for every new parent to handle the situation when they have a new born baby. A new responsibility arises after the immediate birth of your baby to give him/her a better care. Each and every simple thing you have to memorize and have to learn. For this, you have to hold your patients and keep calm always. Sometimes new parents get irritated when their baby cries or when don’t feed properly. In this case, you take care of them with love, not with an anger or irritation. Another important advice which you should know that never sleeps during the sleeping time of your baby. It is quite difficult to watch over your baby without sleeping the whole night. The best advice for the parents is to have patients and make understand between each other that if you sleep your partner will awake and when your partner awake you can sleep. So, it is required to keep trust with each other. Sometimes it happens that you are too much busy with your baby for him/her care. It is good because it’s your first duty and responsibility. But you shouldn’t forget and don’t neglect your relationship. You should understand yourself and your partner always. Take care of your baby’s health is the topmost responsibility of every parent, but with this, you should take care of yourself. You shouldn’t ignore your health problem thinking that this is common. No, this is not good for you and your baby also. If you take care of your health; you can gain strength to build the better health care for your baby. This article on the best advice for new parents was written to aware new parents who are going to give birth to their very first child. They may have a lot of dreams, love towards her baby but all of them comes under being a responsible mother, which means watching every action with care and love. If you have any suggestions to share, please do comment below in this article. Share a word to the world to encourage us. Myilraj, young Entrepreneur and passionate blogger by profession, hobbyist research writer on various subjects technically correct and morally good. I am managing few more blogs and you can get me on my Brand Page @Myilraj. GET THE LATEST PARENTING TIPS IN YOUR EMAIL INBOX!